HGH Mechanical is a full service heating and air conditioning service, sales and repar contractor serving northern Maryland since 1993. 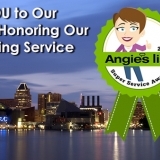 We are leaders in the residential and the light commercial HVAC industry in and around the Baltimore Metropolitan area. With high sales and a reputation for diagnosing and servicing HVAC equipment and systems promptly and correctly, our reviews speak for themselves. We sell high-quality, state-of-the-art equipment that is energy efficient and environmentally safe. We are committed to our customers, and accordingly, we concentrate our efforts on servicing the equipment we sell with trained technicians. One specialty is propane fireplace installation. 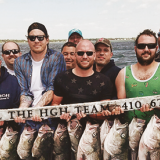 Call HGH for all your HVAC sales and repair needs in Bel Air, Baltimore, and the surrounding areas. Click to see our HVAC customer reviews video: https://www.youtube.com/watch?v=jwcTe9N5-xk. “I am writing to thank you for the excellent job in replacing the central air conditioning system in our home. As you may remember, we received several quotes from a widely known, heavily advertised HVAC company who we found to be dishonest and outrageously expensive. We are delighted to say that we did not have the same experience with HGH. Your price was fair and the service could not have been better. Called at 7 am on a Monday, they were at my house within 20 minutes of the call the same day. Fixed my AC and I was able to get to work on time.